Starting in 2012, the countries of the Western Balkans saw an unprecedented outflow of nationals to Middle East conflicts. Around 1,100 citizens of Albania, Bosnia and Herzegovina, Macedonia, Montenegro, Kosovo, and Serbia, including some from the Balkans diaspora in Western Europe, traveled to areas of Syria and Iraq controlled by terrorist organizations such as the so-called Islamic State and al-Qaeda affiliated outfits. For the most part, they joined these groups to fight, thus becoming “foreign terrorist fighters” (FTFs) in the eyes of the law. As of early 2018, almost one third of them – around 330 individuals – had returned to their countries of origin, thus making the Western Balkans the region with the highest concentration of returning FTFs in Europe. 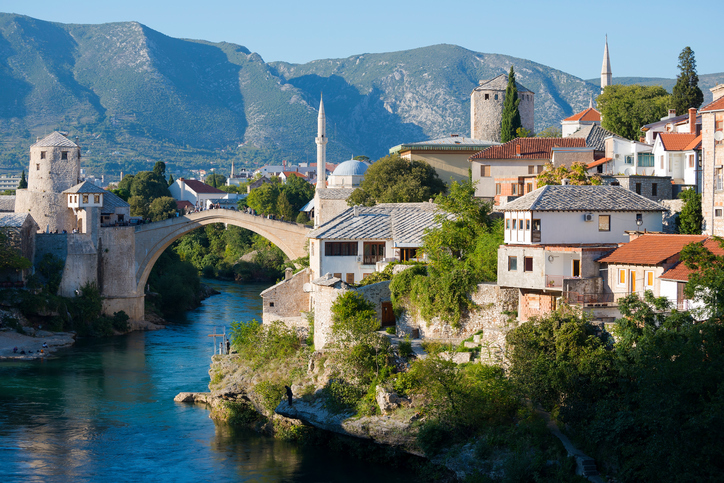 Clearly, the countries of the Western Balkans are up against a complex issue that will require continued engagement. In this regard, balancing repressive and “soft” responses focused on rehabilitation and reintegration of returnees will be key. Do these countries have sufficient capacity and resources to do so effectively over the long term? This is a question that demands serious consideration. The contingent of returnees is predominantly made up of men who did fight or receive military training in Syria and Iraq. Only a few women and children have made it back so far – the majority of them are still in the Middle East, currently housed in various camps in northern Syria. While the level of security threat posed by the returnees varies greatly and is not easy to assess conclusively, their return unquestionably presents a host of challenges to law enforcement authorities and receiving communities. In essence, the nature of the problem in the Western Balkans is no different from elsewhere in Europe. Yet, in order to objectively measure the scale of the social and security challenge faced by these countries it may be useful to put the numbers of returnees in perspective by comparing them to other European countries facing a similar influx of returnees. According to official sources, around 94 percent of the Western Balkans returnees, or 311 individuals, have returned to Albania (45), Bosnia and Herzegovina (53), Kosovo (133) and Macedonia (80). Based on the latest available census data, these four countries have a combined population of 10.3 million and therefore a rate of 30 returnees per million people. According to a 2018 report by The Hague Center for Strategic Studies, the four Western European countries that have experienced a similar influx of returnees are Belgium (102), the Netherlands (50), Denmark (67), and Austria (90), for a total of 309 returnees. According to the latest available census data, the total population of these four countries is about 43 million. Therefore, the average rate of returnees for these countries is 7 per million. In other words, while the overall number of returnees is similar in both cases, the four countries of the Western Balkans have a rate of returnees relative to population size that is four times higher. Inevitably, the prospect of effectively monitoring and addressing the issue of returning foreign terrorist fighters hinges on the ability to dedicate expertise and financial resources commensurate to the magnitude and complexity of the problem. According to the International Monetary Fund, Belgium, the Netherlands, Denmark and Austria in 2017 had a combined Gross Domestic Product (GDP) of US$2,049 billion. By comparison, according to the same source, Albania, Bosnia and Herzegovina, Kosovo and Macedonia in 2017 had a combined GDP of US$49 billion. Put in perspective, that constitutes only 2.4 percent of the GDP of the wealthier Western European countries. Moreover, Kosovo, the country with the lowest GDP of all these countries, and therefore the most limited resources, has the highest number and rate of returnees from Syria and Iraq. Evidently, the scale of the challenge posed by returnees in the Western Balkans is disproportionately greater when considering locally available capacities and financial resources. International stakeholders would do well to acknowledge and address this imbalance by significantly boosting the resources, tools and expertise at the disposal of local authorities and augmenting their capacities to more effectively address the challenge of returnees over the long-term. Transnational threats like violent extremism and terrorism are unconstrained by borders or economic and political unions. Therefore, a more robust investment in the security and stability of the Western Balkans would be a direct investment in the security and stability of Europe.